US underground scene has recently been infested by some spiteful and highly diverse Black Metal acts. 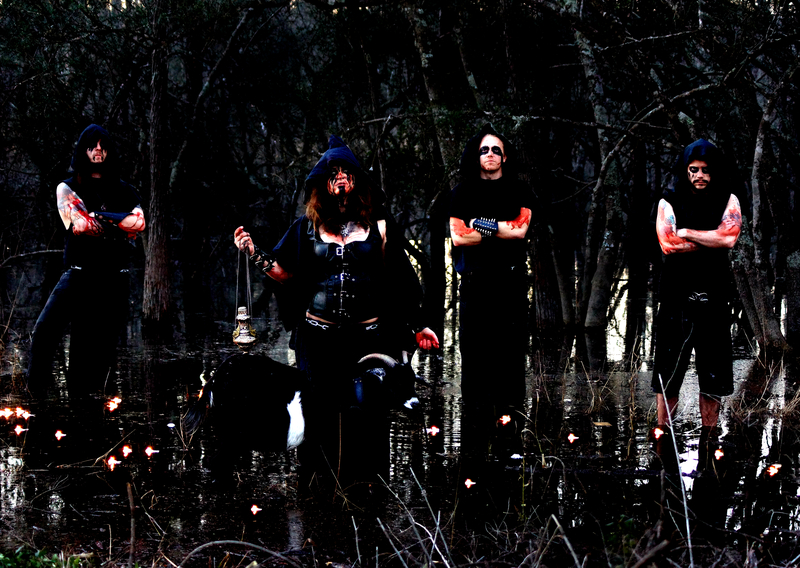 LUSTRAVI, rising from the unholy grounds of Panama City, Florida mark their bloody strike in this uproar. ‘Lustravi is Latin for ceremonial purification or to cleanse by sacrifice. All of us are extremely against the southern Christian stereotypes here and we wanted to create an atmosphere that would enthrall or terrify with no in betweens. I feel like our name emanates what we represent and what people can expect when they see us.’————This is what “Lustravi” stands for, explained by the Vocalist/Bassist Morgan Weller when I took a grip of her. 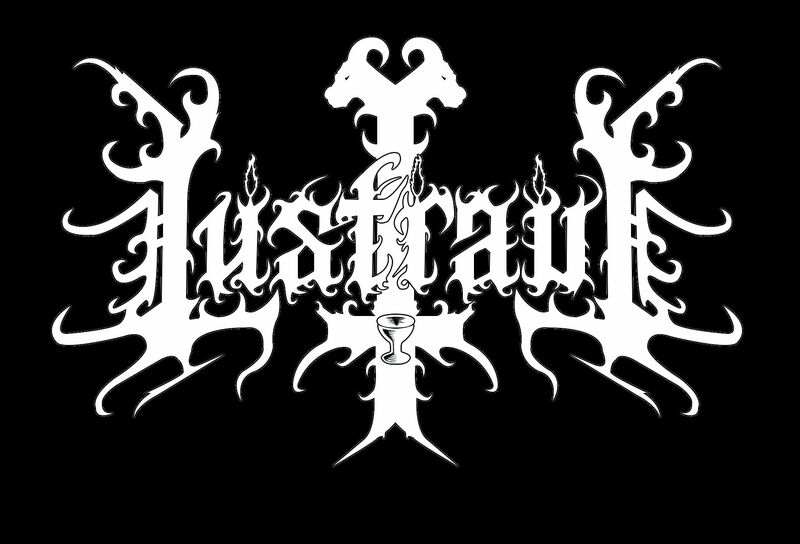 Just like any genre in metal, and any other band, Lustravi have their own creed and doctrine which is an oath they cannot break. 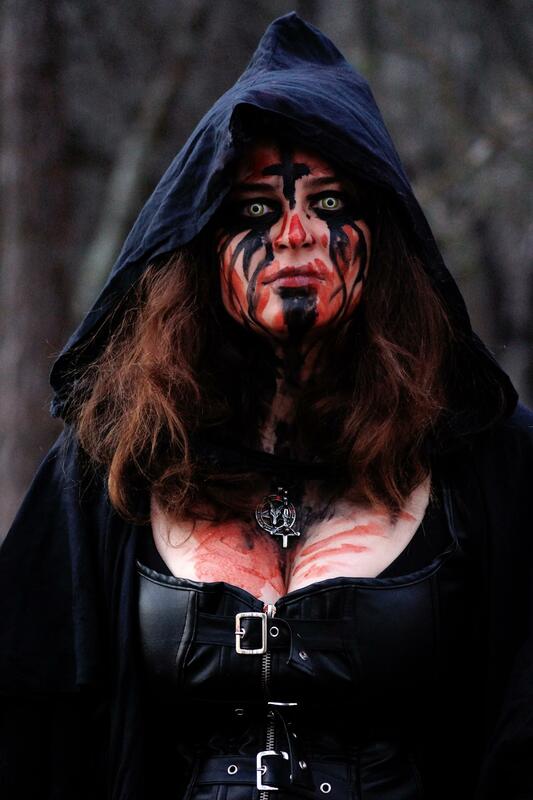 When asked about the band’s concept about Black Metal and how they want to see it lyrically, atmospherically and musically, she replied ‘Just like every other form of metal, everyone has their own take on what black metal should be. I feel like it absolutely should have opposition to religion, plenty of theatrics, and to be just overall very dark and ominous. There’s a power in black metal that I don’t feel in many other genres.’ ——–Now this takes seriousness in music to a whole new level. Morgan was losing her mind playing music which did not satisfy her at all and decided to take a darker and sinister approach by invoking Geoffrey McWhorter (guitar) and Cory keister (drums) around February last year. After a few lineup changes, Zachary Lee Cook joined as the other permanent guitarist. At times, choices of different members of the band having piercing taste in bands like Dissection, Peste Noire, Sargeist, Archgoat, Behemoth, Troll and even Cannibal Corpse and Nile influenced the band as a whole and took their music to a whole new level spawning the ominous panic bout- ‘Cult of the Blackened Veil’ on May 6th, 2016. “Cult of the Blackened Veil”, released in CD via Obscure Musick pledges with an uncanny and ceremonial intro, followed by 9 tracks reining in absolute Blasphemy, Satanism and all that is Detestable for 44 minutes and 30 seconds, simultaneously depicting the beauty on the darkened side of us. The catchiest part of the album seemed to me the cover art. ‘Our artwork was painted by Bruna Vilela from Portugal and I think she did a fantastic job. I think the art represents us very well as a whole. Especially where we’re from female sexuality is a very scary subject for a lot of southerners. We do not pride ourselves for being from here but we wanted to exploit that fear as well. There’s a certain amount of stigma outside of this for female musicians as a whole but I wanted the art to say “this is not a safe place,” and I feel like it did that in a very classy way.’ Meeting up the expectation, Morgan once again answered and explained the story behind this ceaseless deity portrayed on the cover. This filthy piece of malice has seen a colossal response from the metalheads – nationally and internationally. The support all over was certainly crushing, especially keeping in mind that all of this started in the band room just with an iPad recording. So far, Lustravi was featured in some prestigious extreme metal sites. It is shocking to the band as well the amount of positive responses they are getting from the audiences. Nuff said. Get your hands dirty by giving this album a shot- only if you’re willing to take a journey full of hate and loathe.